This Late Harappan piece has a hole in the center that may have been used for a ritual purpose. 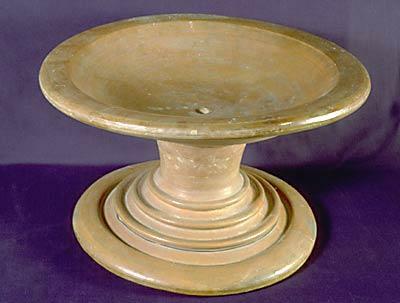 This piece resembles the Pedestal Vessel. For more on death and burial, see Painted Burial Pottery.